Who is the real Jesus? Is the story of His birth and early life, as generally taught, really true? Highly absorbing, fascinating, and even challenging, with prayer this book will change your life. Did you know that the Bible says "God Is Love!"? Has anyone else ever told you that God is love? But then people say a lot of things you can't believe today. What do you think? How would someone actually prove that God is love? What if God is NOT love? The Cosmic Conflict Over God’s Character--a 13 week guide to discovering the trustworthiness of God--is the second in a series of the Truth, Love and Freedom Bible Study Guides. Have you ever been hurt, lonely, depressed, frightened and hopeless? Or maybe you have found yourself feeling helpless, that gut wrenching helplessness when someone you care about is hurting, distressed and on the verge of giving up and you don’t know how to help them. Did you wish you had something to give them, something that would help? How is the evolution vs. creation debate a character of God issue? Stories that will shift your world. See. Feel. Engage. Domestic Violence in OUR Church? Domestic Violence in OUR Church?--a 13 week guide to healing our families-- is the first in a series of the Truth, Love and Freedom Bible Study Guides. In this Bible Study Guide, we will examine God’s design for families, the myriad faces evil takes in assaulting our homes and God’s methods to bring healing here and now. Elevator is a series of "armchair" video episodes about God. Four different presenters give their thoughts on God-subjects ranging from His Law to His Heart. Family Reunion is a 10 song album of tunes that will stick with you throughout your day. The cry of a Father's heart from Genesis to Revelation. Finding the Father is a revolutionary new book like none other. As each page is traversed you will truly begin to experience the truth of our God's character of love, as it unfolds for you right before your heart. 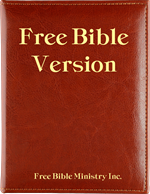 The Free Bible Version NT is a new translation into modern English from the standard Greek text. Its intent is to be as faithful to the original meaning without being awkward or misleading. The style is contemporary English without using slang or colloquialisms, speaking to our modern society in a way people will understand. Does knowing the good news about our wonderful God make a difference when we encounter a crisis? Author Joyce Wilson’s answer is a resounding yes! It is no exaggeration to say that this book will give you a whole new perspective on life. Learn how (and why) to truly give thanks in all things! Genesis means the origin, creation or beginning of something. The first book of the Bible, Genesis, is about the origin, creation and beginning of the Earth and life on the Earth. But, there is a major conflict revolving around and within this genesis story. A weekend about God as presented to the of students Princeton University. In this three-part, 2 DVD seminar, Christian psychiatrist Dr. Tim Jennings explores the freedom you’ll experience in your own home and church as you learn to see God in a totally different way! Pain is not easy. It never is. Can God relate to my pain? Can I relate to His? God, Grace & Deception is a book that explains why God makes sense in a corrupt world. 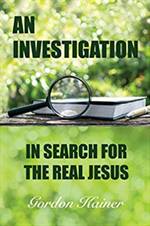 This book will confront you with and offer some answers to many of today’s most asked questions about God—questions such as Why God?, Is He Real?, Does He Exist? 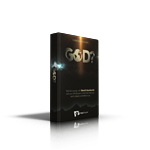 This six-part video presentation series asks and deals with the tough questions about God. God's Accommodation Principle is a collection of articles and presentations selected from several of the ministries being promoted by God News - Good News. At various times throughout the Bible, God seems to have interacted with people at their sin-degraded level with a strange, maybe even un-God-like, kind of accommodation. Did God adjust His standard of righteousness downward to accommodate sinners at times in the past? Read, Listen, Watch these thought provoking presentations in this special collection. God's Grace Is Free So, What Else Really Matters? 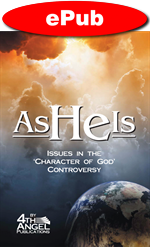 Each chapter of this book deals with an issue of life that affects our relationship with God. Each chapter deals with what really matters. This presentation was made at the 2008 Good News Tour in Loma Linda, CA by Brad Cole on the subject of God's Justice. The Good News Tour is a conference that is entirely about God. “God’s Wrath” in the Bible is a series of Bible Studies with a group of students at Pacific Union College by Dr. Jean Sheldon. In this series, Dr. Sheldon covers in-depth the subject of "God's wrath" as found in both the Old and New Testaments. The Good News Tour is a conference that is all about God. The 2008 conference, held in Loma Linda, CA included engaging presentations by eight different speakers. The Good News Tour is a conference that is all about God. The 2009 conference, held in Vancouver, British Columbia, included engaging presentations by four different speakers. God News - Good News is a growing collection of information and resources in a variety of media on the subject of God. You will find audio, video, music, books, articles, seminars and services (blogs, live webinars & live chat are in the development stages), all selected because the content was found to be helpful in answering questions about God. If you have God-questions, you've come to the right place. You will find The Collection of items here to be very helpful in your search for answers to what we call "The BIG God Questions." Question like: Does God exist? What is God like? Why doesn't God end suffering? Does God get angry? Did God really create people? Why did God create people? Where is God? Does God talk to people? Can I actually know God? Why doesn't God protect the innocent? and many others. We're committed to finding and adding new items to The Collection regularly; so remember to visit us frequently and share our address with friends and family. You may have found this web site via click-through from our "sister" site IsGodGodIs.org . If not, you may want to browse that site first. It provides thought provoking, "first pass" answers to The Big God-Questions. Then, if you click the More Complete Answers links it will bring you back here to the page of items most helpful for the God Question you were reading. GodNewsGoodNews.org is owned and operated by The Ministry Place, Inc. The Ministry Place is a 501(c) 3 non-profit organization dedicated to bringing the Biblical good news about God to the world via the Internet. We operate totally by financial donations and technically skilled volunteers. If you would like to help support us in our mission by a donation, just look for the gold God News Good News logo in the rotating banner. You may contact us with comments or questions by clicking Contact Us below. We'd love to hear from you.